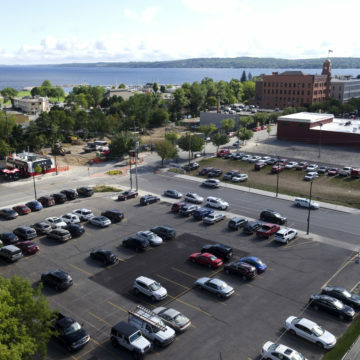 The Traverse City Downtown Development Authority is responsible for implementing the City Master Plan (called the City Plan) in Downtown. 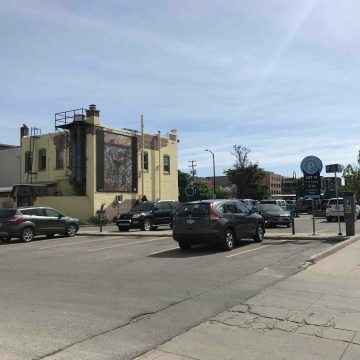 The DDA expands on the City Plan through two Development Plans through Tax Increment Financing (TIF). 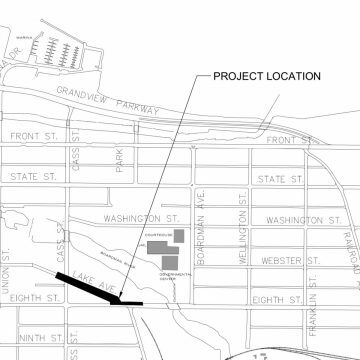 The TIF 97 Plan covers the main part of downtown including Front Street, and the Warehouse District. 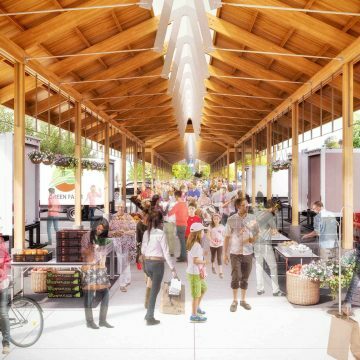 The Old Town TIF Plan covers Old Town, River’s Edge and Midtown. 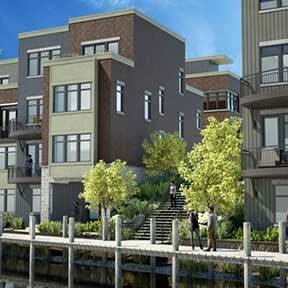 The DDA utilizes TIF dollars to fund public improvement projects in the district. For example, the Old Town and Hardy Parking Garages, Pine Street Pedestrain Bridge, street trees, and more. Find a map of the DDA District and two TIF Districts here. 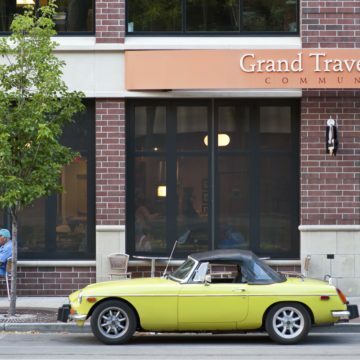 Click here for an explanation of Tax Increment Finanical and history of TIF in Traverse City. 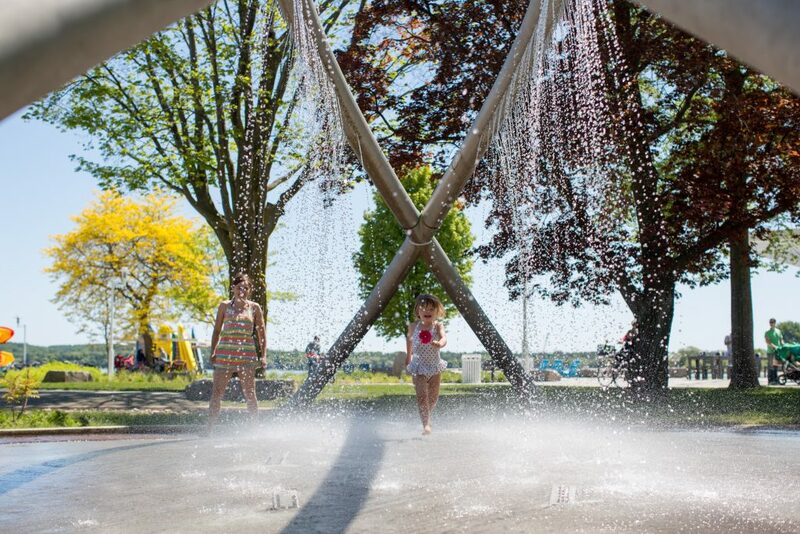 The DDA has developed a Strategic Plan (2017-2020) to guide the future of Downtnown Traverse City and establish performance goals that will guide the annual Work Plan. Learn more about the DDA’s Strategic Plan and annual Work Plan. 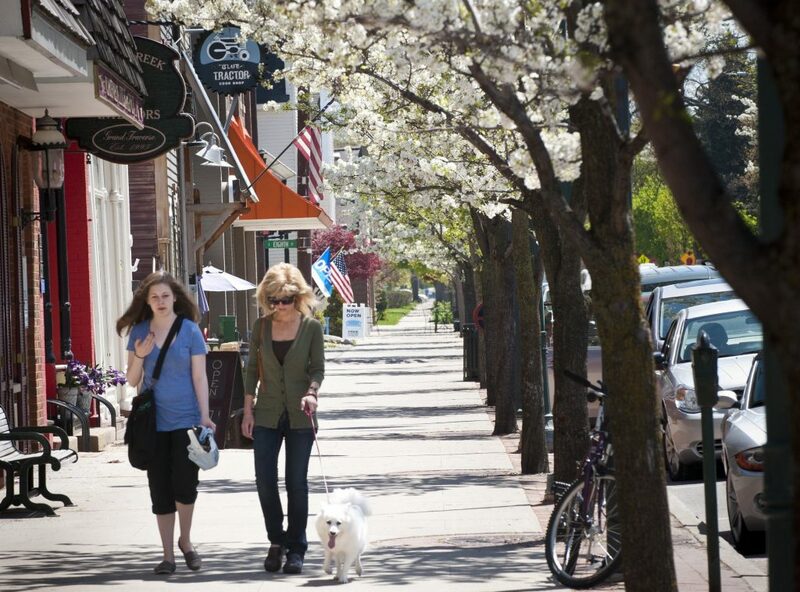 Downtown Travere City is know as one of the strongest city centers in the state of Michigan. 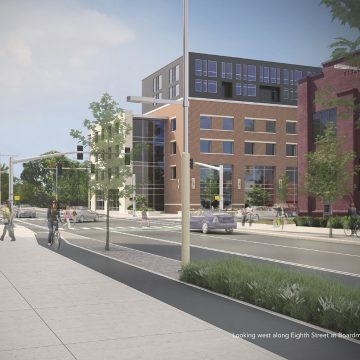 The Downtown Development Authority has been progressive in planning and development and utilized funding tools such as Tax Increment Financing to contribute to the overall health of the downtown district, economically speaking. 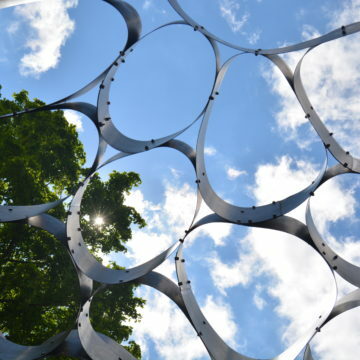 Check out these public improvement projects and how they positively impacted our community. Developing the Larry C. Hardy and Old Town Parking Garages were two enormous endeavors for the DDA. 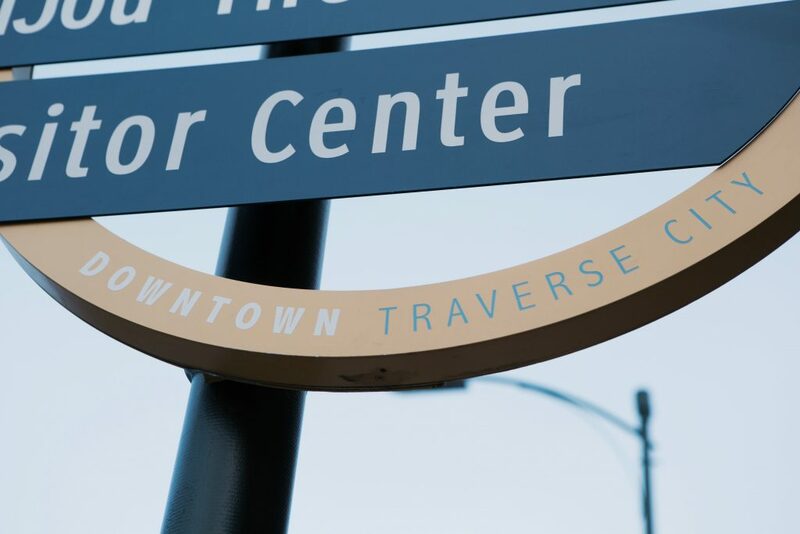 The two projects served as a catalyst for private investment in the immediate area and serve the needs of the growing work force in Downtown TC. The Hardy Garage was funded by TIF 97 and bond payments continue today. 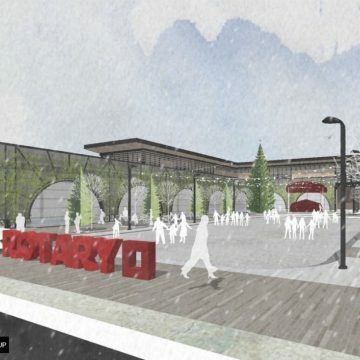 The Old Town Parking Garage was funded through TIF 2 and paid off in 2016. Because when you gotta go, you gotta go! The DDA included with the bond for the Hardy Parking Garage the construction of public restrooms. The project was dependent upon a private developer on the adjacent property and finally took place in 2018. 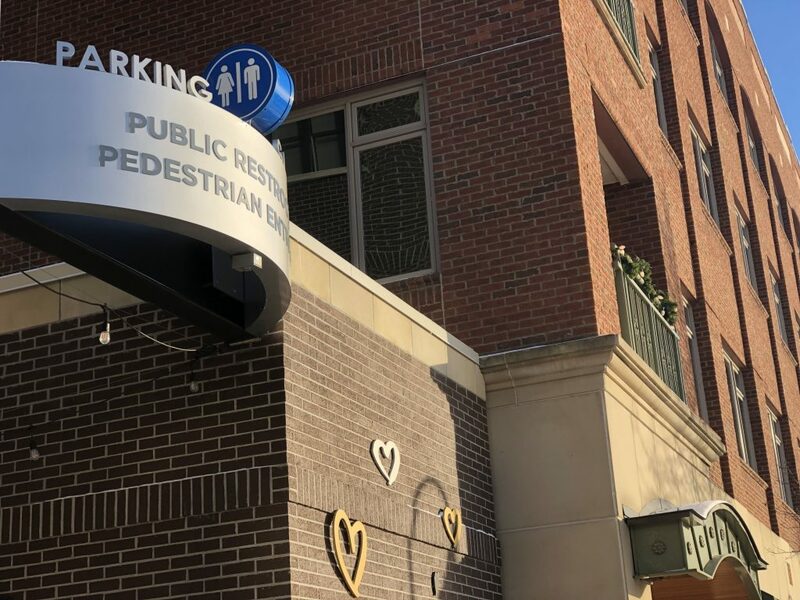 Public Restrooms now stand on Park Street at the pedestrian entrance to the Hardy Garage. 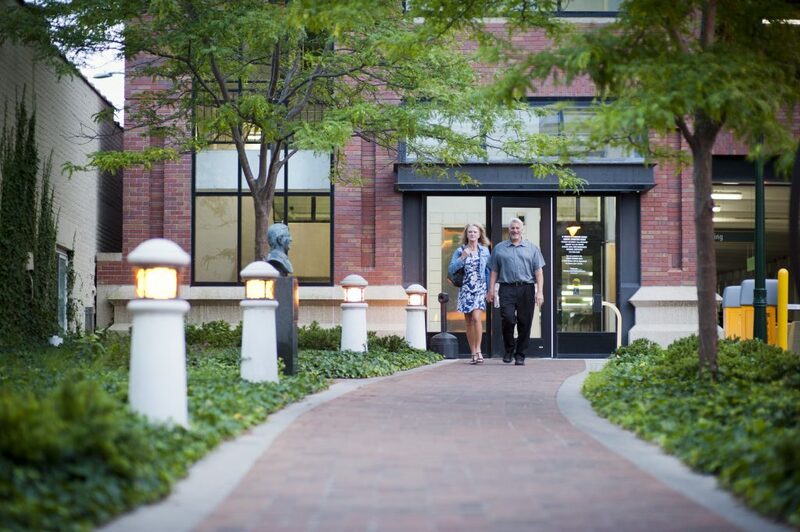 Streetscapes were one of the first projects that the DDA tackled when the first TIF plan was approved. 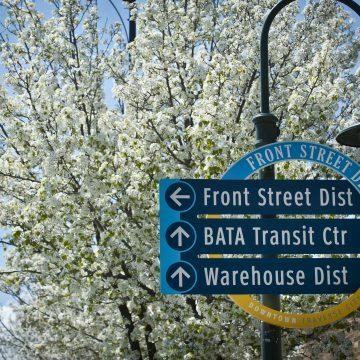 The DDA has always placed a high priority on walkability and providing sidewalks that were comfortable with decorative brick “ribbon,” street trees, and benches are amenities that contribute toward the overall health of the downtown community. Inching our way toward a world class downtown, the DDA installed public WiFi in late 2014. The system is built as an outdoor system and provides WiFi within the DDA District. The WiFi system was funded through the previous TIF 2 (expired in 2016) and currently through TIF 97. The Clinch Park improvements were a community engaged process and implemented after the Your Bay, Your Say initiatives. A number of funding sources came tighter to make the project happen. 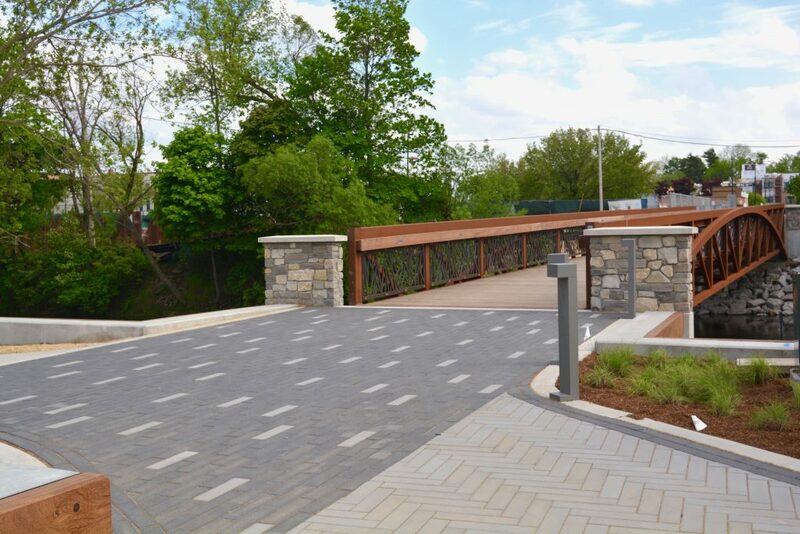 The DDA contributed over $1 Million to the Clinch Park improvements AND the DDA also funded the pedestrian tunnel improvements at Cass Street.Approximately $1.3 Million dollars from TIF 97 contributed to the project. Creating stronger connections between districts, downtown, and our natural resources such as the Bay and Boardman are a priority of the DDA. 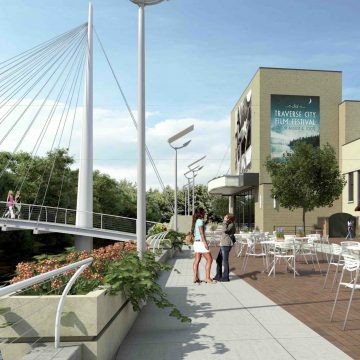 The Pine Street Pedestrian Bridge spans over the Boardman River and connects the Front Street District to the Warehouse District. 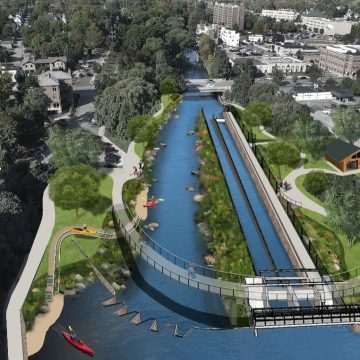 The project also has created better access to the Boardman River.